2018: 41 books, 11,211 pages. 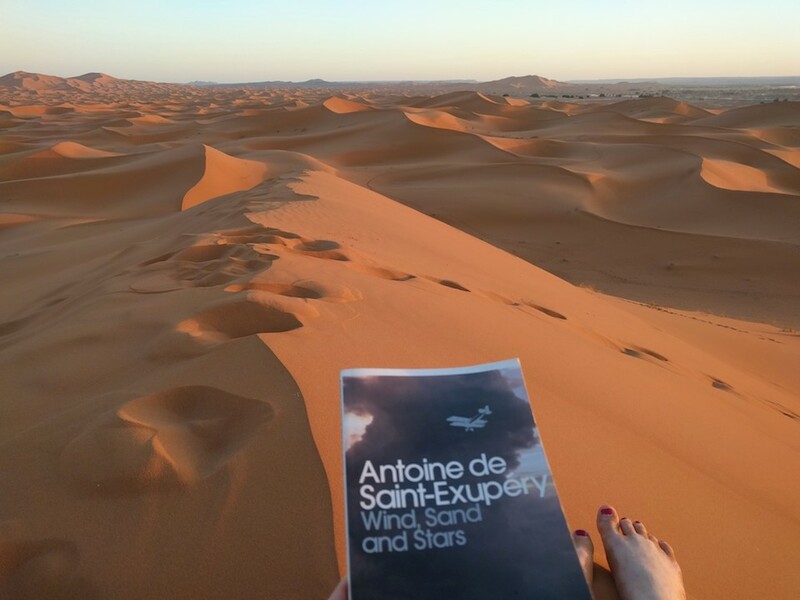 Re-reading Wind, Sand and Stars in Morocco last month. 1. A Whole Life - Robert Seethaler (4.50/5.00). The kind of book I adore. It's a story of the simple life of Andreas Egger, who knows every path and peak of his mountain valley in the Austrian Alps. It's a beautiful, heartbreaking little book about what life is really made of. Choose whether you'd like to read it fast (like I did on a snow day) or try to savour it. 2. All the Light We Cannot See - Anthony Doerr (4.50/5.00). I was given this back in 2014, but never read it until now. I'd recommend it if you love science, art, and messy human emotion exploding together. A great companion book is Surely You're Joking, Mr Feynman!, which inspired Anthony Doerr's main character. I got very excited when I found this out reading the two books at the same time. 3. The Return: Fathers, Sons and the Land In Between - Hisham Matar (4.00/5.00). Hisham Matar was nineteen when his father was kidnapped and taken prisoner in Libya. He would never see him again, and couldn't return to Libya until twenty-two years later with the fall of Gaddafi. This is his memoir; a story of his journey to find out what happened to his father and to rediscover his native country. I read this at the same time as a few of my Via Alpina hikes this summer. Reading The Return by Hisham Matar at 7:55am one drizzly Sunday morning, by the Oeschinensee in the Swiss Alps. 4. 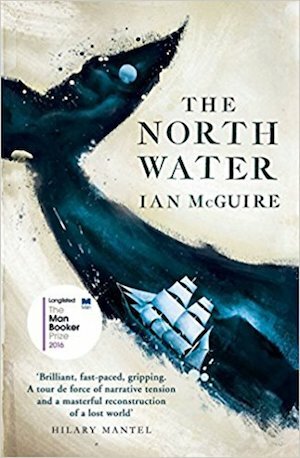 The North Water - Ian McGuire (4.50/5.00). A murder mystery on a boat to the Arctic! "1859. A man joins a whaling ship bound for the Arctic Circle. Having left the British Army with his reputation in tatters, Patrick Sumner has little option but to accept the position of ship's surgeon on this ill-fated voyage. But when, deep into the journey, a cabin boy is discovered brutally killed, Sumner finds himself forced to act..."
5. How to Love - Thich Nhat Hanh (4.50/5.00). I wish I'd read this years ago. It's also good to think about alongside The Course of Love by Alain de Botton. 6. Queen of the Desert: The Extraordinary Life of Gertrude Bell - Georgina Howell (4.25/5.00). My favourite new role model (who died ninety-one years ago). Gertrude Bell was at one time the most powerful woman in the British Empire and the driving force behind the creation of modern-day Iraq. She chose to leave her wealthy upbringing to read history at Oxford and go on to become an archaeologist, spy, Arabist, linguist (speaking 8 languages), author, poet and photographer. She was a legendary mountaineer too. Between 1899 and 1904, she recorded 10 new paths or first ascents in the Bernese Alps (where I live) wearing just her underclothes. She also spent 48 hours stuck on a rope on the notorious Finsteraarhorn. 7. The Things You Can See Only When You Slow Down: How to Be Calm and Mindful in a Fast-Paced World - Haemin Sunim (4.00/5.00). My most-gifted book of the year. Try and get a hard copy; it's beautiful. Awaken the Giant Within - Tony Robbins (4.50) - Yeah, it's cringey self-improvement at its worst. But it's so good. My full list is here. I'd love to know what you enjoyed this year, especially if it's a book from a country I haven't read anything from yet.